Quote Reply Topic: RPB power and positioning. Also, does anyone else have the problem of automatically closing the racket when attempting to loop due to the grip? I've tried opening and closing the racket to suit the opponent's incoming spin but when I have to open the racket, I can't seen to generate enough power with my arm but then I resort to bend my wrist down, resulting in sinking the ball to the net all the times. Thanks a lot in advance. and sorry about the wall of text. I moved to Roundell Hard 2.1, this rubber gave me all I want on RPB.. speed and spin is killer.. obviously Hurricane 2 is hard to play with -.-! Member of Wang Hao fan club. With penhold it doesn't feel normal.. you may injure your shoulder..
Well, I dont claim that it is a "proper" way of a penholder - it just works (and i dont know any better method atm, try it btw ). It is a fluent stroke overall and you don't stress any muscless or bones any more than in your usual forehand swing. IMO there is a much bigger risk of injuring your wrist if you are using it in a strong rpb shot.. Except the penholder grip, RPB is a technique almost the same as handshake backhand, no matter it is about looping or flat hitting using backhand. You can learn from a good handshake player about power generation and positioning when doing RPB stroke, IMHO. My wrist was never injured or in pain.. but with RPB doing Krenga's technique your fingers will end up pointing to the ceiling, which 'locks' the shoulder! my coach (shakehander) was trying to teach me RPB with Kenga's technique then normal SH technique, he was giving instructions like you are doing right now.. "with out trying them", but he noticed that this is not the correct way and he ACCEPTED it. I played with a EX Egyptian national team member and he insisted that he can do RPB with SH technique.. I swear that I almost played 10 balls and all of them hit the edge of the blade (center ply).. till he gave up. Here is a match video of my self.. not the best technique ever, and I improved since that time.. Also having a harder rubber now, my blocking is better and my looping is more consistent. 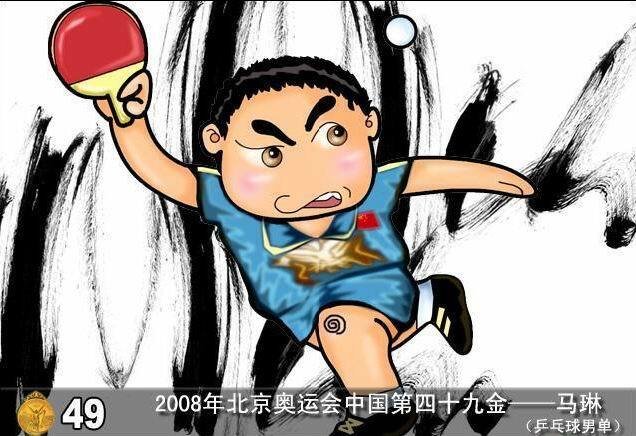 I would suggest that your trainer should immediately send a proper note to Wang Hao (this famous Chinese TT player) because he obviously doesn’t realize that he’s continually hurting his body (you can try to find differences between Kreanga and Hao backhand in this video btw http://www.youtube.com/watch?v=yoHKvjVO0WY, I’am reffering to Hao’s strokes from 1:20 – and many others too obviously). It’s a shame that a member of a national team cannot use his backhand properly , but I assure you that I (granted that it is not only after few months of playing with penhold) am doing it without problems – and I was trying to explain HOW I’am doing it. WHO ARE YOU?! are you better than Wang Hao? how dare you compare injuries to technique on the top level? ok then.. Ma Long technique is flawed because he got injured, Timo boll, Ma Lin.. who else? the list goes on.. those guys play ALOT, any sport at the highest level can make a player suffer from injury. 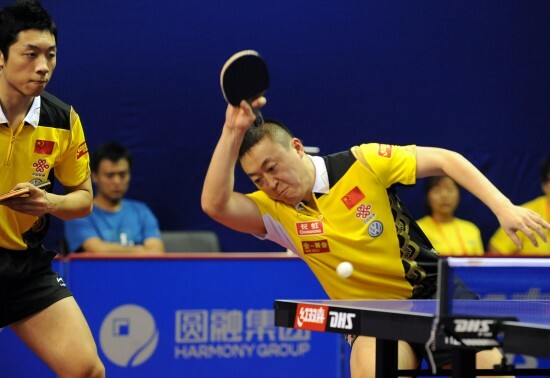 If Wang Hao doesn't use his backhand properly then who does? please cut this silly conversation, it is obvious that you are misleading a guy who is seeking help.. shakehand technique for RPB.. next thing you'll say is very unpredictable I bet.. BTW, I miss seeing you on the top level. And please show us HOW you are doing it on video, so we can benefit from you.. thanks in advance. one last note my friend.. on the top level strokes need to be compact so you recover fast, using wrist is obviously faster to recover from. My bad that i assumed that you can read since you make impression that you can write. And please dont try to teach anybody showing him your "technique". Good luck in future endeavours. My bad that i assumed that you can read since you make impression that you can write. And please dont try to teach anybody showing him (((((your)))) "technique". when you explain how you are doing it, then it does mean explaining your way and therefore teaching it.. at least English is my second language and I don't brag about it.. Pointless discussion, this obviously won't make me a better player.. so I'll step on it and climb to the next level. I did not say that a SH player can play RPB or teach RPB. I didn't mean that, because the grip is very different. OP wants to know how to improve power in RPB stroke and positioning when doing the stroke. The power generation and positioning in RPB is fundamentally the same as SH backhand, that is what I tried to say. +1 to non-tacky jap or euro rubber on BH. Sriver is a good one to start with your YE. There are two BH loop variations: side loop like European players, or the underneath center style like Chinese players. See this coaching clip below: http://www.youtube.com/watch?v=bTo8YO4Ckhc. It talked about both Shakehand and RPB styles in Chinese. I personally think you can borrow from both variations, with more or less wrist movement of your liking. Nice instruction video, simon. Thanks. Rogson, you mention "RPB power", but the well "placement" of a RPB shot is important too, probably most important. interesting debates there! why not post both your videos side by side to show your differe nces? I've posted mine and would like to see your technique guys, would be intiresting to see Zheyi's! Thanks ShaolinTT. I like the Wang, Jian Jun's new RPB stroke since he moved away from simulating Ryu's Jpen. He seems to be playing YEO as well, not a big swing for his newly developed RPB. very nice strokes u have! Thanks Zheyi. I am still working on it. But from EJ perspective, I did stick with Yasaka blades a lot. My recent favorite bh rubber is Donic Barracuda. Oh, back to RPB power. I think it pays to notice the position you rip the ball back. Usually I feel more at control when returning loops at top of the bounce or a little bit earlier than the top, if that make sense. At this point, I can borrow whatever is coming toward me and double it with my forward stroke. At the point, I still use RPB to push the opponents to return weak balls and finish the point with my forehand. But that's more tactics than strokes. But I have to agree RPB for penhold, at least to me, if not as powerful as shakehander at the same level. Like ShaolinTT said, the placement is a art. Placement is very important as well but when my opponent extends the game into a rally I end up only lobbing or blocking if meh opponent goes BH happymode. H2 may not be the best rubber for you on the BH. You might have to hit it real hard to "hit through" the DHS sponge in order to generate enough spin. Plus the arc is low, and you may have difficulty to clear the net. It might be the reason you ended up resorting to lobbing and defense. Understanding the RPB weakness, I used more spinny and bouncy rubber on the BH. Please note, I am only talking about TT lover and amateur level. How professional do their trick is beyond the discussion. Have fun. Thanks for that, will try it as soon as I am able to. Trust me, the equipment makes the different. You need to mix and match until you found your gear is "tuned up" properly. Then you probably don't want change the setup, or you will break the balancing dynamics.